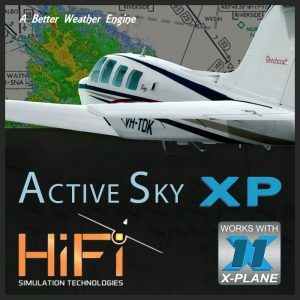 This version of the Accu-Sim Bonanza is for FSX only. Some say the hardest thing for an artist to draw is the human hand, because it is the part of our body that we are all most familiar with. Simulating the Beechcraft Bonanza V-tail is like drawing that human hand. Additionally, there are many Bonanza variants through history with owners that know their airplane in some ways better than they know themselves. Yet we all interpret life around us differently, including how an airplane feels to each pilot. It is up to us, at A2A, to not just create an airplane that objectively performs in line with the actual airplane, but to capture that human feel and interaction with the real airplane. We have to somehow magically capture that experience that applies to all pilots. And Accu-Sim technology allows us to achieve this better than anything we’ve used before. Beyond modeling a specific airplane, the Bonanza history is surrounded with tales and stories developed over many decades, some are true and some not. Probably the most common nick name the Bonanza V-tail is known for is being the ”doctor killer.” When the Bonanza was first introduced, it was unlike anything anyone has ever seen in the general aviation market. And for the decade following its release, successful businessmen and professionals were buying the Bonanza in great numbers. Many of these pilots had primary careers that demanded a great deal of their time, not leaving much room for flying. And like many ”weekend warriors” today who spend the whole week sitting behind a desk then go out and play a sport on the weekend, injuries erupt. The same holds true for the busy professional working all week who then decides to occasionally fly a high performance airplane like the Beechcraft Bonanza V-tail. The V-tail Bonanza was built from World War II fighter technology, which was designed for highly trained professional pilots. And like most Warbirds, the Bonanza wants to fly fast, all the time. Unlike general aviation aircraft that were developed in later years to have benign flight characteristics, the Bonanza inherently has all of the challenging qualities of the World War II fighter. From my point of view, flying a Bonanza is just like flying a Warbird. It rumbles, shakes, rattles, is heavy and can bite the low time pilot in a heart beat. Therefore it’s this writer’s opinion that the new pilot should approach flying a V-tail Bonanza exactly the same as approaching an aircraft like a P-51 Mustang. The V-tail Bonanza, like the Warbird, is designed for experienced pilots who take the time to study and fly and operate such an aircraft with organization, patients, and preparedness. For those pilots who do approach the V-tail Bonanza with the respect it deserves, it will reward the pilot with an experience unlike any other aircraft in the general aviation fleet today. It is for this reason the V-tail Bonanza still stands alone today, as it did on the first day it was introduced to the public. 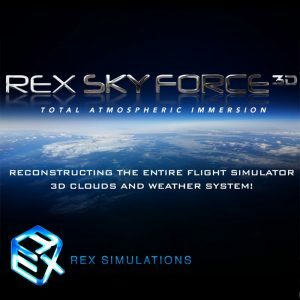 We hope our work on this aircraft meets and exceeds all of our customers expectations, and also hope this aircraft delivers not weeks or months, but years of excitement, wonder, surprise, and the most complete simulated aviation experience to date. Thank you to all of our customers for allowing us to pursue our dreams, and hopefully help pass our dreams onto you too. Experience the world’s most recognizable high performance general aviation airplane. Primer-only starts are now possible. Accu-Sim monitors the amount of fuel injected and its effectiveness to start and run the engine. Designed and built to be flown ”By The Book”. Four naturally animated passengers that can sit in any seat including the pilot’s. P3D’s support of directional lighting allows a more advanced lighting system. In cockpit pilot’s map for handy in-flight navigation. Authentic fuel delivery includes priming and proper mixture behavior. Mixture can be tuned by the book using the EGT, Fuel flow or by ear. It’s your choice. Actual avionics used in real Bonanza V35Bs flying today. The TSO’d King KFC 200 Flight Director/Autopilot with complete 2-axis (pitch and roll with altitude hold) integrated system with professional 3-inch Flight Director displays.